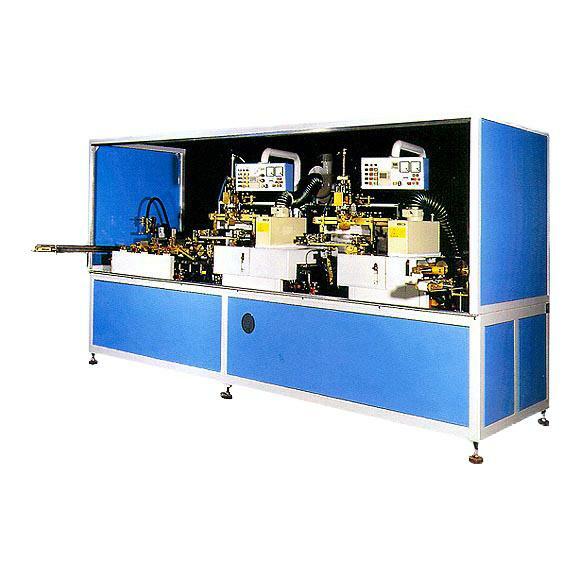 4 Color Screen Printer - Guger Industries Co, Ltd. Suitable for any kind of frame of profile, control panel, key pad and key board of plastic, stereo, computer, note book, phone and mobile, shoe sole and other slim plastic film, etc. A digital microprocessor control is being used on the unit with DERAULT diagnostic system easy for operation and maintenance. 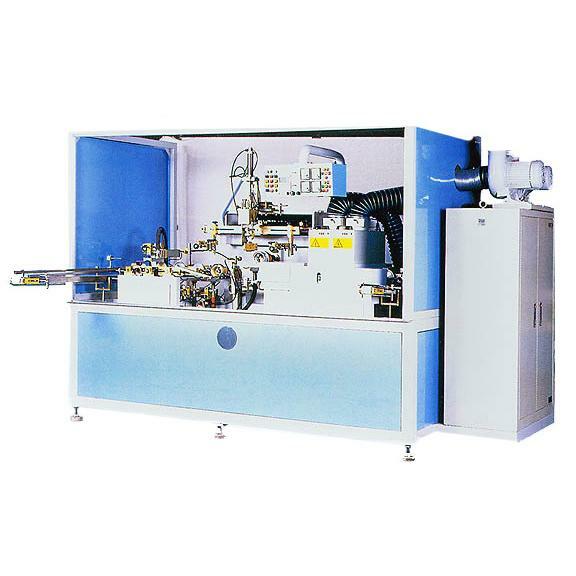 A durable and trouble free Germany made BOSCH or Japan made SMC pneumatic components have been used on the machine gives the most superior performance in process of printing. 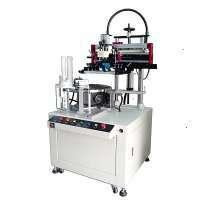 The transmission system of the machine utilizes a direct imported Japan made linear bearing guide for extremely stable printing. 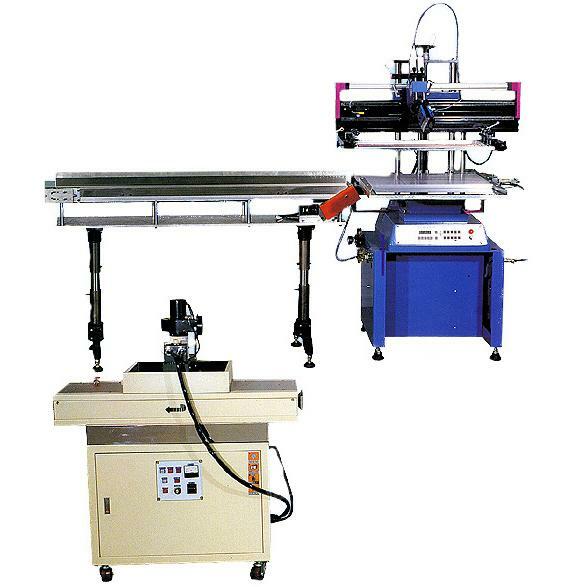 The working table can be easily adjusted, as wish, for precision registration purpose.5. An advantage and optional Left to Right printing way to lower ink consumption is designed. 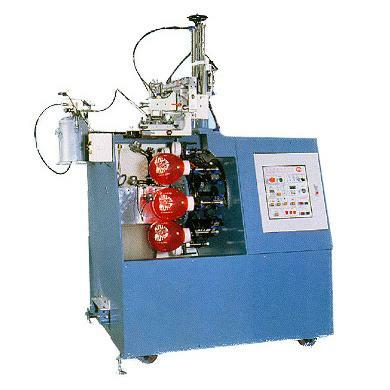 Pneumatic operated printing head lifting-up design offers a quick and convenient way of screen cleaning, assembling, adjusting as well as other replacement, if required. 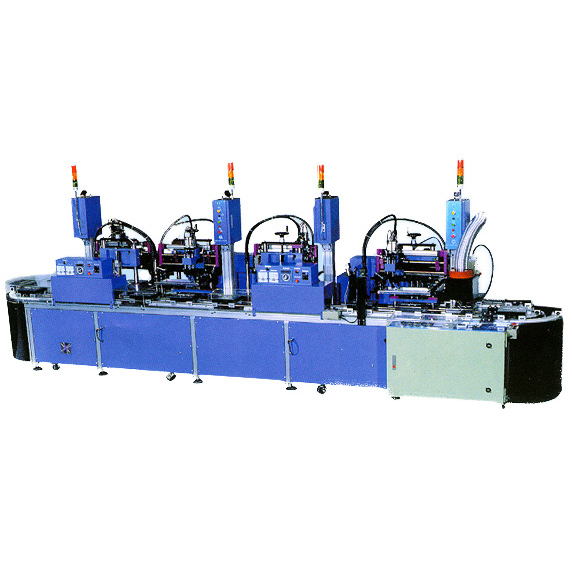 One to four color on-line system or each individual unit can be operated respectively subject to applications. An "Anti-Static" & "Dust Free" device is equipped to minimize the printing defects. Oven temperature is adjustable and with auto ventilated System to keep the temperature at 50 degree to avoid deformation due to high heat when oven stops. A precision rotating table is mounted, and the precise positioning is done by a separate air cylinder. 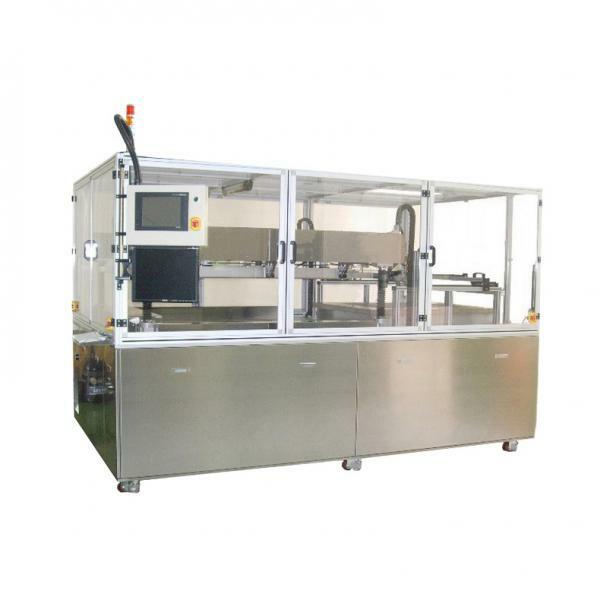 A smooth auto operation system except manual feeding consists of Anti Static Dust Free Auto printing with precision registration-Drying Auto Outfeeding-Conveyor +2nd Drying-Unloading. 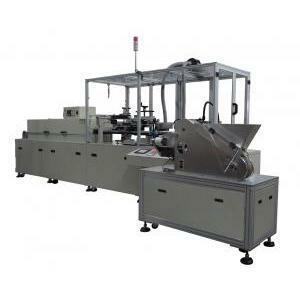 An auto feeding system is optional and made to order.